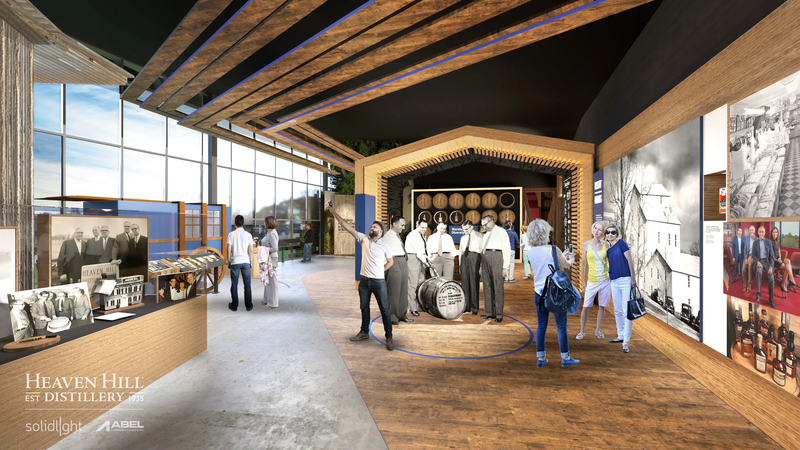 Artists rendering of the new tour space at Heaven Hill distillery. 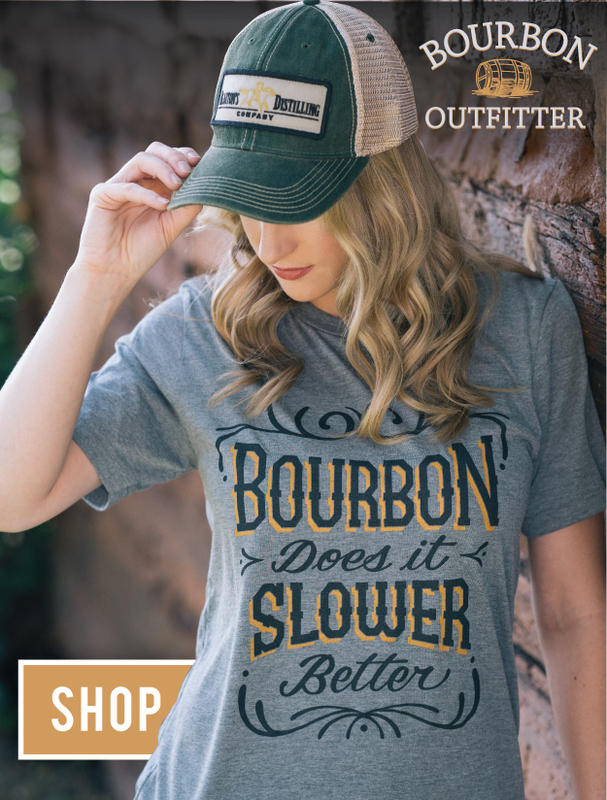 Heaven Hill has broken ground on a $65 million expansion, renovation, and re-branding of their Bourbon Heritage Center in Bardstown, Kentucky. The new home of Heaven Hill will also offer whiskey tastings, educational seminars, and an expanded gift shop. Finally, guests can finish their tour with cocktails at the new rooftop bar overlooking Heaven Hill’s rickhouses. While part of the expansion will be to increase production capacity at the distillery, the new visitor center will offer guests a variety of ways to enjoy their stays. Their Elijah Craig and Larceny brands will each find a dedicated space for their stories, and an immersive “You do Bourbon” experience will allow guests to see the science behind the spirit with hands on laboratory experiments—as well as the opportunity to bottle their own bourbon. Heaven Hill celebrated the groundbreaking with a touching Kentucky tradition. 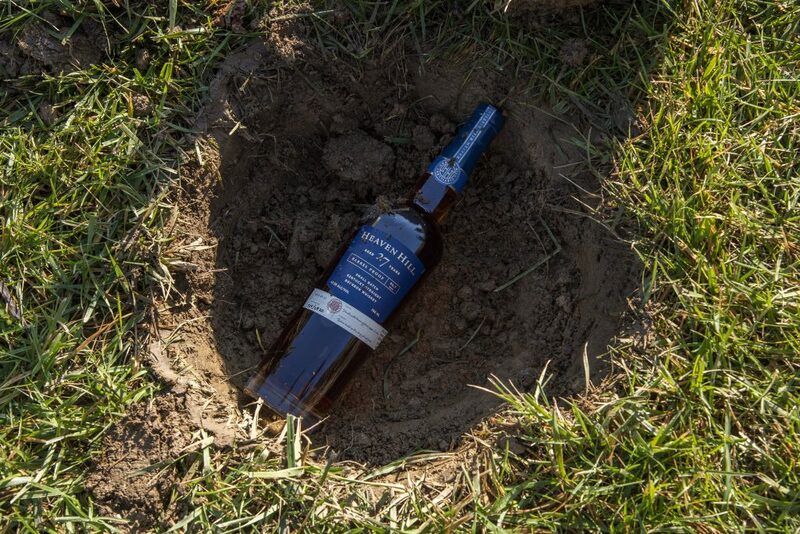 Legend has it that to ensure good weather on the wedding day, a bride and groom must bury a full bottle of bourbon upside down on the spot where they plan to marry. Heaven Hill buries a bottle of their 27-Year Bourbon. Usually, this is done exactly a month in advance, so although Heaven Hill is a bit ahead of schedule, they took the groundbreaking as an opportunity to bury three bottles of their finest. Shapira interred bottles of Elijah Craig, Larceny, and Heaven Hill’s newest 27-year old bourbon to help ensure good weather (and good fortune) for the new expansion. These bottles have a while to wait; they won’t be dug up until the date of the opening.